Home Blog 2019 April 05 Welcome Dr. Jingtao Huang! Please join us in welcoming Dr. Jingtao Huang to Alzein Pediatrics! Dr. Huang is seeing patients in both our Evergreen Park and Oak Lawn offices and in our Urgent Care, opening in May next door to the Oak Lawn Children’s Museum. Dr. Jingtao Huang (pronounced “hwan”) earned his medical degree at the Peking University Health Science Center in Beijing, China, earned a Doctorate at Louisiana Tech University, and completed his pediatric residency at the University of Chicago Medical Center. Dr. Huang is board certified. Dr. Huang has also completed fellowship training in sleep medicine at Northwestern University McGaw Medical Center, and has led numerous award-winning clinical research studies in sleep disordered breathing in children at the Children’s Hospital of Philadelphia. 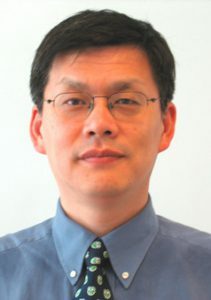 Dr. Huang is a member of American Academy of Pediatrics, and is on staff at Advocate Christ/Hope Children’s Hospital and Little Company of Mary Hospital. You can make an appointment with Dr. Huang by clicking “Request Appointment” or by calling our office at 708-424-7600. Visit our Facebook page and say “welcome” to our new physician Dr. Jingtao Huang! It’s time for the FLU SHOT! Alzein Pediatric Associates Now Cares For Patients Until Age 26! My Baby Is Breaking Out! Are hot dogs really giving my child cancer? Introducing Kim Reule, MSN, APRN, FNP-C, and New Baby and Lactation Support! Oh me, oh my, it’s MUMPS!